Some forms of government have a lot to answer for when it comes to a lack of imagination in architecture. The finger could be pointed at a number of the former communist states of Europe. Say what you like about the politics that were at play, but gosh, a lot of the architecture was boring. If you drive around some parts of (East) Berlin, Prague, or Warsaw, you will notice how so many of the residential buildings look exactly the same. Just these gigantic faceless concrete slabs with windows cut out. You have the feeling that it would be very easy to get lost walking around these neighbourhoods, but they create the effect of everything and everyone being equal (which is what they were supposed to do). Cuba is governed by an ideology known as Marxism-Leninism (which many people just call Communism), it has mercifully been spared the ugliness of those European-style apartment buildings, and while not all Havana architecture is wall to wall examples of Spanish colonial-style buildings, it at least retains some character, regardless of the style being used. 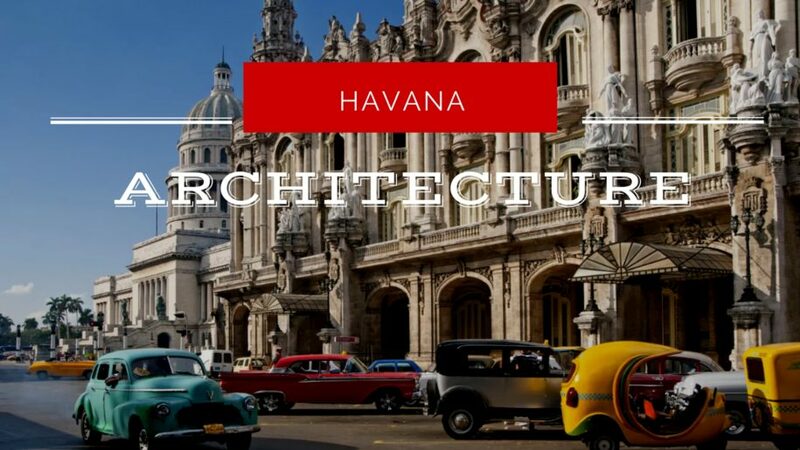 To venture through Havana is to take a true history lesson of all the styles of architecture that have shaped the Cuban capital. Rather unsurprisingly, Spanish colonialists brought a style of building to Havana that was already common in Spain, in a case of go with what you know, back in the 1500s. Naturally, this Moorish-inspired style needed to be amended to take the conditions of the New World into account. While Spain is no stranger to heat and dramatic weather, these conditions were far more pronounced in Cuba, and this is clearly demonstrated in Havana architecture. While an uncovered terrace could still be rather common, semi-enclosed porches (portales) became increasingly widespread for reasons of practicality. It also became common for windows to be fitted with security bars, thus allowing for those large windows to be left open continuously, again as a nod to the humidity of the new world. Those large windows let in the light, but a lot of early Havana architecture also has a darkness to it. Some of the larger homes were built with basements or mezzanine levels in order to accommodate the house slaves. Space did not permit for detached quarters to be built on the grounds, so this accommodation needed to be built into the house itself. A lot of Havana architecture is in fact in the baroque style, or at least a version of it. Baroque had its origins in Italy in the 1600s, but did not make it to Havana until almost a century later. More delicate in nature than the earlier Moorish-inspired Spanish colonial architecture, the baroque Havana architecture was more muscular in nature than many baroque buildings back in Europe. This is an interesting example of how Cuba and the New World were seen as a European outpost, needing the style of Europe as opposed to creating its own distinctive style. This is still demonstrably different when it comes to Cuban baroque. The infrastructure for mining and processing the necessary materials to replicate the style simply did not exist, meaning that Cuban baroque has a roughness not seen in its European counterparts. It wasn’t only the Spanish who were colonising the New World. The neighbouring island of Haiti was largely a French colony, and a number of the French settlers fled in terror after a slave uprising there in 1791. Incidentally, it wouldn’t be until 1886 that slavery was abolished in Cuba, although there were a fair few uprisings. Many French settled in the Cuban capital, bringing French influences to Havana architecture. In the years that followed, neoclassical styles also made their mark on the capital, resulting in rather a lot of columns. Seriously… Havana is sometimes called the city of columns. After gaining independence from Spain in the early 1900s, the influences of Spain were cast aside, and indeed the influences of Europe too. Havana architecture from this time actually has a number of American influences, and this is true of a number of government buildings that were constructed prior to the Cuban Revolution, most notably the Cuban Capitolio Nacional (the Cuban Capitol Building which looks incredibly similar to its counterpart in Washington DC). This was also the time of a lot of American investment in the buildings of the capital city, and Havana architecture in the decades prior to the revolution is notable for the proliferation of hotels and casinos, such as the Hotel Nacional de Cuba. Unsurprisingly, this American investment came to a crashing halt after the revolution. Indeed, many foreign owned buildings were seized by the state. There was more a movement towards monuments and infrastructure projects in typically austere socialist styles. But these types of buildings hardly changed the face of Havana, just as no singular style of building had done before it. 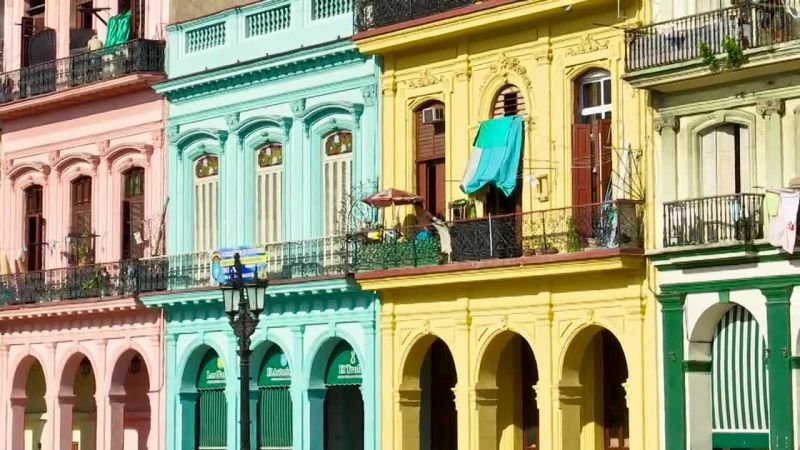 These numerous designs merely contributed to the mishmash of styles and colours that make up the Havana we all know and love. One of the most interesting recent developments in the architecture of the capital of Cuba took place in 1982. This was when Havana’s Old Town (La Habana Vieja) was designated as a UNESCO World Heritage site (the United Nations Educational, Scientific and Cultural Organization). This means that the United Nations recognised the cultural and historical significance of this part of Havana and provided the funds needed for restoration work. This means that the beauty of many of Havana’s grand and even minor buildings can be enjoyed by future generations. It would be a tragedy to lose such architectural beauty, so let’s hope that Havana’s Old Town and the rest of the beautiful buildings in the city stay just as they are.